Frontier Soups unveils new product review tab, giving customers the opportunity to comment about their favorite all natural soup mixes and post their own recipe adaptations. To encourage shoppers to try new soups they can review, a Baker’s Dozen package of 13 soup mixes is specially priced in March and orders of more than $25 receive free shipping. Frontier Soups™, a producer of all natural gourmet soup mixes, now will give customers the opportunity to post reviews and let others know about their favorite soups at http://www.FrontierSoups.com. The new interactive product review tabs are available for all 33 varieties including 28 gluten free soup mixes, said Trisha Anderson, founder of Frontier Soups. To encourage customers to enjoy their favorites and try new varieties that they can review, the company’s Baker’s Dozen, which gives consumers their choice of 13 soups, stews, chili or chowders, is $67.50, a savings of 10 percent, and shipping is free on orders of more than $25 during March, Anderson said. 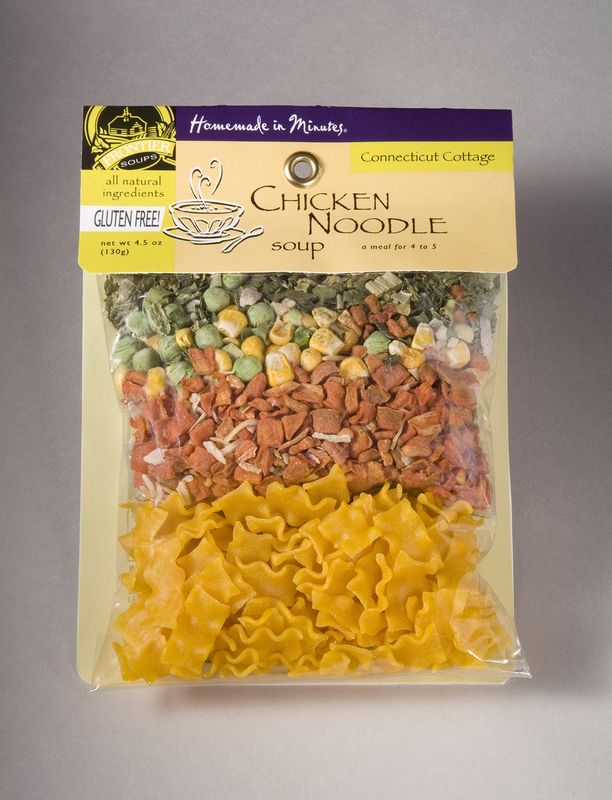 Frontier Soups Connecticut Cottage Chicken Noodle Soup, a comfort food favorite, is also specially priced this month at $4.95, $1.05 off the regular price. The soup brims with vegetables and shredded chicken, and corn-flour noodles make this chicken noodle soup a gluten free meal, she said. The soups also are designed to satisfy a variety of dietary choices, she said. 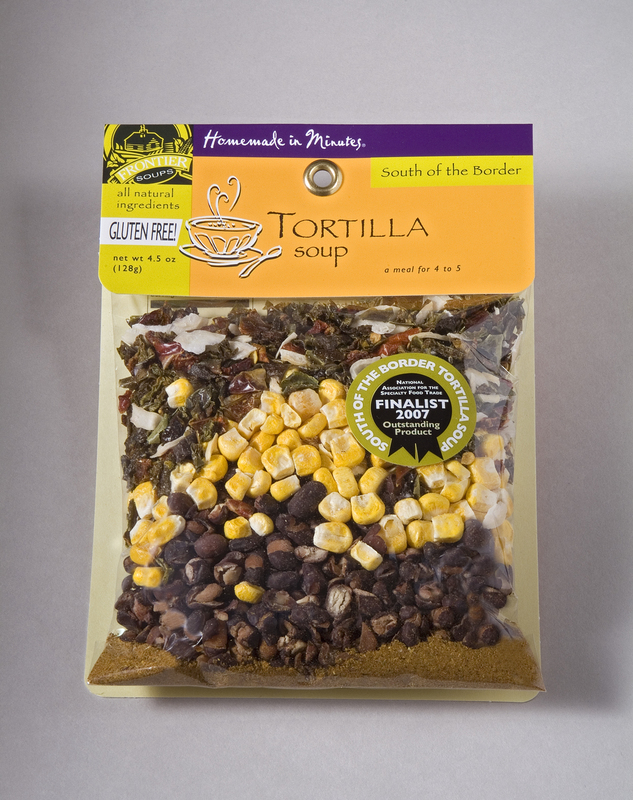 In addition to having no added sodium, many of the soup mixes make vegetarian meals as prepared or have vegetarian options while 28 are gluten free, including the best-selling South of the Border Tortilla Soup and the Texas Wrangler Black Bean Soup, which also is a vegetarian soup.